Gutters, soffits and fascia are the bits of the property none of us ever check until we have a problem, them it’s too late. It’s wise to have them inspected now and find out how much it will cost. We bet you the paints a bit flaky and dull, and did you fix those leaking gutters? 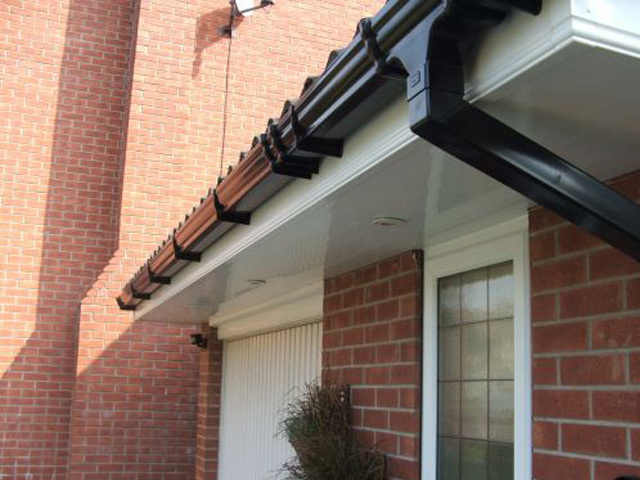 Possibly not, if the gutters and fascias are old, they won’t last forever. 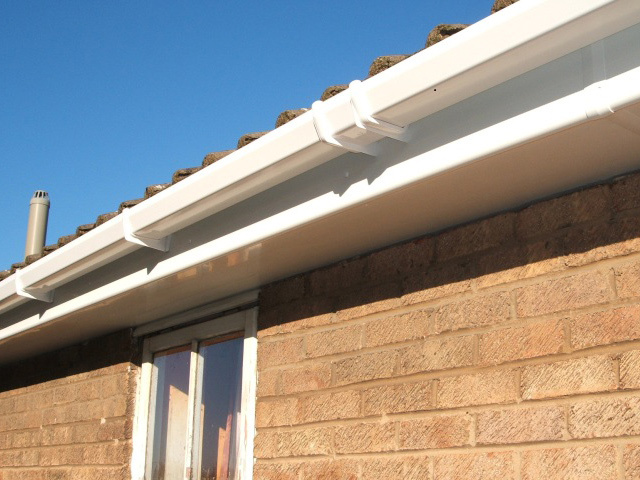 The gutters, soffits and fascia are manufactured in white uPVC which is the same material as your frames for double glazing so they will all look the some. Behind that bit of roof are rafters, that’s the most important element of your roof, and if they get wet it will rot it could permanently damage the timber that could cost you tens of thousands to repair, It makes sense to get your gutters, fascia and soffits checked over now! So if you had double glazing fitted or are getting double glazing quotes ask the surveyor to have a look at the gutters before it’s too late. One of the most exposed parts of any structure, particularly where wood is concerned, is where the gutter is fixed to the fascia also the barge board and rafters as this is the area where the rainwater collects so its very vulnerable to fungal rot. It’s can be a bit of an effort and risky to get up a ladder or erect a tower scaffold to check & clean your gutter, fascia or soffit, either you get somebody to check it over or it’s too often forgotten and that’s when the rot sets in and big problems starts. Wet rot in fascia, soffit or rafters can be caused by continual rain water infiltration due to leaking gutters or inadequately maintained roof, it only takes between 10-50% moisture content then wet rot develops. There are many varieties of fungi that cause wet rot. The timber normally splits along the grain where decayed. There is typically some surface mycelium. There are many types of wet rot and they all attack damp timber. 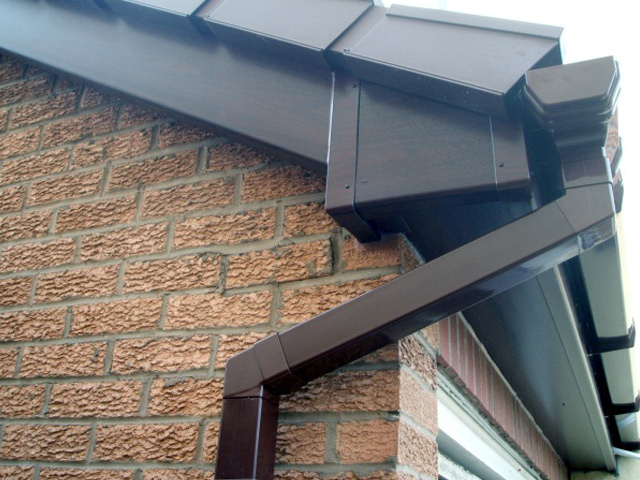 To ensure that the roof is ventilated, ventilators are built into the soffit. Both front and back to ensure total ventilation. Colour Available are Rosewood, White, Black Ash or Oak.